Why are these findings seen as a “new twist” to the evolutionary theory? In short, because many scientists have claimed that genetic differences between humans and apes can be attributed to a process known as “genetic recombination,” which is a phenomenon that generates slight genetic variation via meiosis. However, this new journal article seriously calls this proposition into question. In their research, the three Spanish scientists scrutinized differences between human and chimp genes, expecting to find higher genetic recombination rates in these areas of dissimilarity. 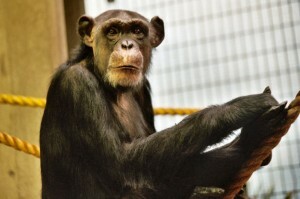 Even though studies of human-chimp similarities have been conducted in years past, this particular research was unprecedented because the scientists took advantage of new, high-resolution genome maps. Ultimately, the study results were contradictory to what evolutionists had theorized. Not only were genetic recombination rates markedly low in areas of human-chimp DNA differences (“rearranged” chromosomes), but the rates were much higher in areas of genetic similarity (“collinear” chromosomes). This is the reverse of what evolutionists had predicted. Jeffrey Tomkins, a Ph.D. geneticist with the Institute for Creation Research (ICR), told the Christian News Network that these results were “totally backwards” from what evolutionists had predicted, since genetic recombination is “not occurring where it’s supposed to” under current evolutionary theory. Dr. Tomkins further emphasized that evolutionists greatly exaggerate the genetic similarities between humans and chimps, and often ignore areas of DNA where major differences do exist. This is not the first time scientists have questioned evolutionists’ assertions regarding humans’ and chimps’ similarities. David DeWitt, a biochemist and Ph.D. neuroscientist, reiterated in an article for Answers in Genesis that evolutionary scientists commonly underestimate the genetic dissimilarities between humans and apes by significant margins. And even relatively small percentage differences equate to formidable genetic discrepancies. Ultimately, Dr. Tomkins concluded, genetic evidence is once again stacking up against evolutionary scientists, forcing them to revise their theories.